The Election Commission of India (ECI)gives utmost importance to enrolment of all eligible citizens and to assist electors to reach and cast their votes in a hassle free way by establishing Polling stations (PSs) at a conveniently located building. “No voter to be left behind”is the motto of ECI for year 2016. National Electoral Roll Purification” (NERP) programme has been launched this week across the country with intensive verification by the Commissions’ field functionaries and stakeholders interaction,to enhance the purity and fidelity of Electoral Rolls (ERs) and to standardization of PS for electors convenienceand facilitate electors’reach his PS with ease. 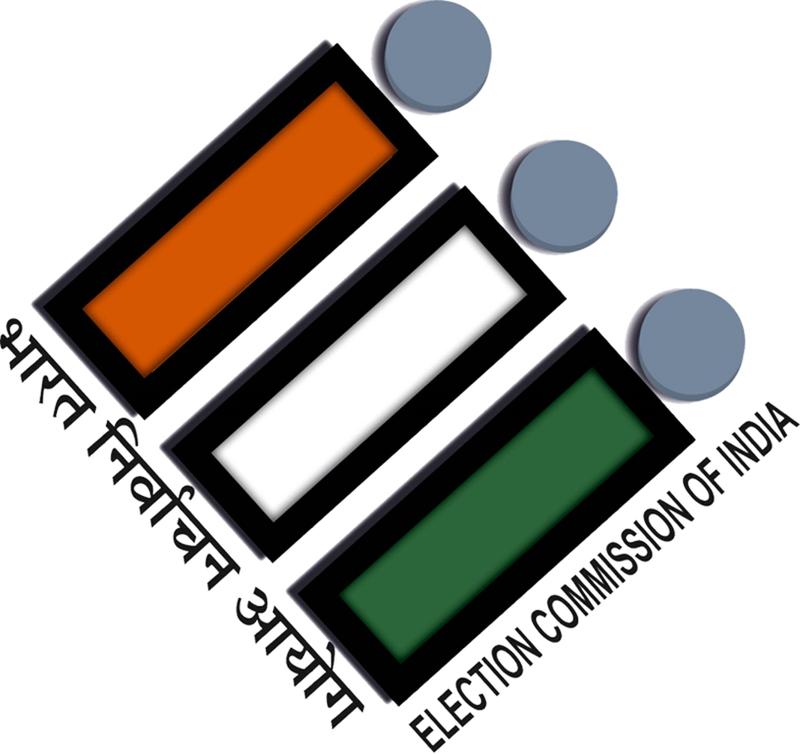 The twin objectives of NERP 2016 are: (1)Improving Health of ERs by-inclusion of all eligible citizens in mission mode; ERs to be Free from errors; Single ER entry for every eligible elector with unique Elector Photo Identity Card (EPIC) number; Removal of all Absent (A)/ Shifted (S)/ Dead (D) electors’ entries and Repeat Entries (REs) and ensuring Photo Electoral Rolls (PERs) with good quality correct images of every elector confirming to ECI standards, and linking Electors with ECI by obtaining their contact details (2) Standardization of Sections, PS boundaries & Location and improved PS map by- Optimization of part boundaries with Standardization of sections using GIS technology; Relocation of PS with in Part or in adjacent parts and Improved PS Map with part map, ‘how to reach to PS’, PS building image and dimensioned PS room drawing with Basic Minimum facilities(BMF) details. The Commission has launched the intensive field implementation phase of NERP 2016 which would culminate well before the next draft publication of ERs for annual summary revision with 1st January 2017 as qualifying date. Booth Level Officers (BLOs)will conduct door to door field verificationofentries identified under A/S/D/RE categories apart from collecting electors’ information on contact details, family members, including non-enrolled and persons going to become eligible on 1st January 2017 which will beentered the details in the NERP portal for further processing and action by Electoral Registration Officers (EROs). Optimization of section, PS boundaries and location will be completed on GIS under NERP 2016. To provide easy access to citizens and electors for enhanced electoral rolls related services, voluntary collection of mobile number/e-mail ids and details of family members is being done under NERP 2016by the field staff. However the Commission has ordered that such information, under no circumstances, shall be put in public domain or shared with any authority.Facility to share above information electronically by the citizen have also been provided on NVSP. To improve the PER, poor quality and black and white images are proposed to be replaced by the District Election Officers (DEOs) through deployment of sufficient number of digital cameras. Electors are requested to actively involve themselves and cooperate with the ECI field staff. The NERP-2016 strives to improve the fidelity of the rolls through effective use of technology and SVEEP strategies.Information Technology is being extensively used in information collection, processing, sharing and efficient decision making for this purpose. National ERs database has been processed to identify and generate sets of Demographically Similar Entries (DSMs) where ‘ electors’ Name, Gender, Age/DoB, Relation Type & Name’ are similar for the electors and such DSEs are being subjected to further electronic scrutiny and field verification. Key IT enabled activities deployed under NERP 2016 are- identifying entries requiring image improvement and further examination for logical errors and EPIC related errors, capturing the existing and probable PS buildings coordinates, mapping the facilities and drawing the part boundaries on GIS map with AutoCAD diagram of Polling Booth and GIS/Key Maps to assist the electors to reach their PS. A versatile NERP dashboard has been developed for use by the EROs/DEOs and the Chief Electoral Officers (CEOs) to capture, enter, process, monitor and share the information. Comprehensive training for Booth Level Officer has been done on NERP and the orientation of the members of "Booth Awareness Groups (BAGs)" will bedoneto conduct an effectiveSystematic Voter Education and ElectoralParticipation (SVEEP)campaign at every location which will include public meetings, reading out rolls, distribution of pamphlets, pasting of posters etc. To ensure transparency and meaningful involvement & active participation of citizens of the area, the Commission has decided that the ERO shall prepare part wise list of names proposed to be removed from the electoral roll on account of A/S/D/REs in the ERs and display the same in his office for a period of at least 7 days from the date of pasting of the list. The said list shall be put on CEO’s and DEO’s website and same will be shared with recognized political parties and read over in Gram Sabhas, meeting of Resident Welfare Associations (RWAs)/Ward committees/Urban Local Bodies. Also the said list shall be discussed in BLO-Booth Level Agents (BLA) meeting. After making deletions, the final deletion list should also be furnished to recognized political parties and also uploaded on the DEOs/CEOs website.The ERO shall maintain a daily monitoring register of all deletions made by him or his AEROs in the constituency during the period of continuous updating.The DEOs shall monitor the process of deletions made by the EROs in the assembly constituencies comprised within the districts under their jurisdiction. The Commission further desired that outcomes of the project be compiled and periodically shared with the media in a structured and systematic manner and all CEOs should launch a comprehensive SVEEP programme to popularize the NERP 2016 and encourage all stake holders to take part actively. For the purpose, various departments of Central and State Governments and corporates shall be encouraged to educate their employees about the NERP programme and facilitate them to voluntarily verify their details in the electoral rolls, NVSP/ CEO/ DEO website, helpline numbers shall be fine-tuned to provide all requisite information related to the programme, Civil Society Organizations (CSOs), Non Government Organizations (NGOs) and RWAs shall be engaged with in urban areas and Nehru YuvaKendra /NSS/Anganwadi/Self Help Groups shall be engaged with in rural areas to spread awareness, Corporates may be asked to also contribute to common publicity campaign on NERP under Corporate Social Responsibility. An award has also been instituted for 100 % achievers at BLO, ERO and DEO levels in three categories of authentication, correction and deletion of DSEs/REs may be incorporated in the State Award. Expected outcomes of NERP are a substantially errors free ERs with correct demographic details and unique EPIC Noof electors, no dead electors’ entries or repeat entries and PERswith improved images confirming to standard specification. The PS optimization will ensure that all PS are location in conformity with standard guidelines of Commission apart from ensuring further improvement in ‘access with ease’ for electors to their respective PS by effective use of GIS technology. The improved PS map would assist the electors to reach their PS using GoogleMap with satellite & street view and key map on how to reach knowing precise AutoCAD drawingof PS with dimensions and model layout, with BMF information and actual images of PS.